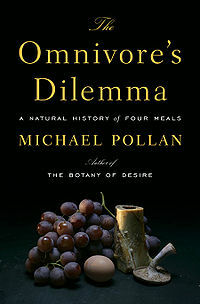 I’ve been reading this guy’s stuff recently and have definitely dug it; just finished Omnivore’s Dilemma and have now started In Defense of Food. If you’re interested, I’d recommend checking out Omnivore’s first because In Defense really kind of seems like a sequel, expanding on themes of the first book. 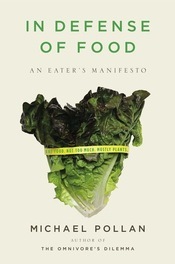 Just some really dope explorations into how food gets to our tables and our whole culture (or lack thereof in the States) of eating. Depressing at times for sure, but his writing style is really easy to read and the guy never came off as preachy or pretentious to me. This entry was posted in CheddaReads. Bookmark the permalink.